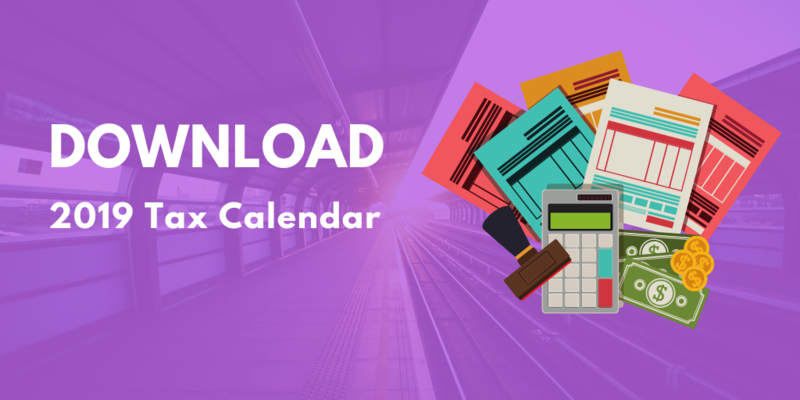 This week’s marketing strategy will be mainly focused on showing you how to create landing pages, how to use your social media accounts, as well as importing your leads to CRM and finding out where you can find 10 events to attend for your business. Don’t worry, we get this question a lot. Landing pages are standalone webpages with no links to guide a user back to your website (if you have one). The reason they don’t have other links is because they are used to promote marketing campaigns where the only call to action on the landing page is to get a user to sign up for something. You need to create a landing page to collect data when you have set up a marketing campaign. Say you have just started your food delivery business. You want more clients so you set up a lead generation strategy to offer a £5 voucher off a first delivery. You need a simple landing page with a form that collects their name, and email address so that the voucher can be sent to them. You can’t send them to your website for a voucher because they’ll get distracted by other things over there. This is why you need a landing page. Note: The purpose of a landing page isn’t just to sell something to someone one time only, it’s used to capture data from a user so that you can begin to offer them more relevant, and valuable content that interests them with the end goal to convert them into prospects. You can easily Drag and Drop to create your own well-crafted landing page using Smarty Landing Page software. 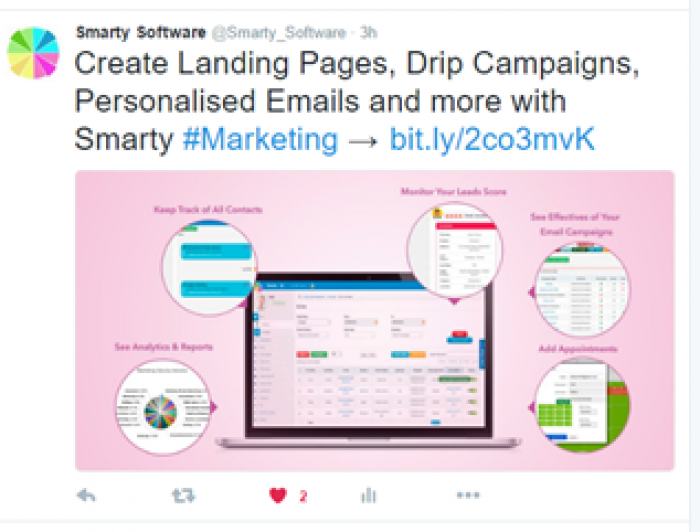 We've also created an demo video on how you can create your own landing page with Smarty. Check it out below! In this day and age, despite what industry of business you operate in, having a social media platform is vital in increasing your business visibility, profits, and potential customers. An important thing to remember in using social media for business is the 80/20 rule. This basically means 80% the content on these platforms should not directly be related to promoting your business, instead it should be a variety of interesting, relevant, and informational content. Meanwhile the 20% should be content that is directly connected with promoting your business services. Below is a tweet from Smarty Software. It is an example of a tweet that shows non-promotional content but is relevant and informative for the type of business we operate in. 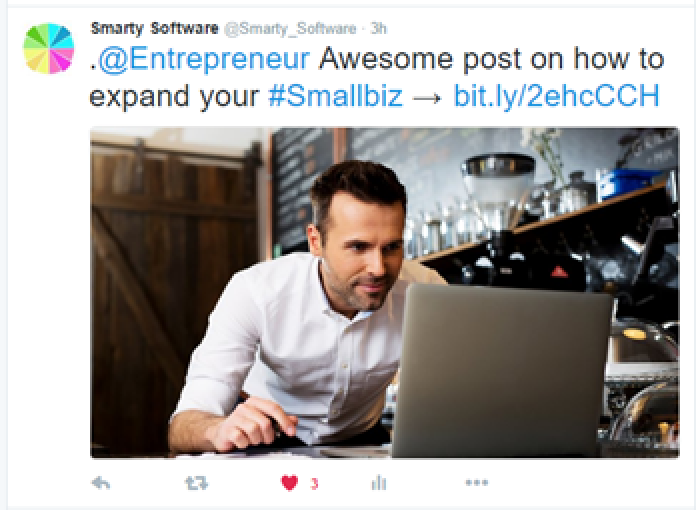 Below is another tweet from Smarty that is an example of a promotional tweet that deliberately sells our business offerings. It is important to get this 80/20 balance correct on social media correct. How can I use twitter for my business? To make this simpler for you, we have created example tweets that can be used on your Twitter feed. Make sure to spread your tweets throughout the day as Twitter is a platform where content gets shared and lost easily. Notes: This is just an example tweet. I have looked on twitter for relevant hashtags that are popular with the food business to include in my tweet. You will need to do the same for your relevant industry. Make sure to add a photo in your tweets because tweets with photos get 313% more engagement (Twitter, 2015). “Check out our New line of #Vegan #Burritos"
Notes: It is important to keep your clients updated with useful information and with any changes. I have chosen the words “Check out” because this is one of the most re-tweetable words on Twitter. 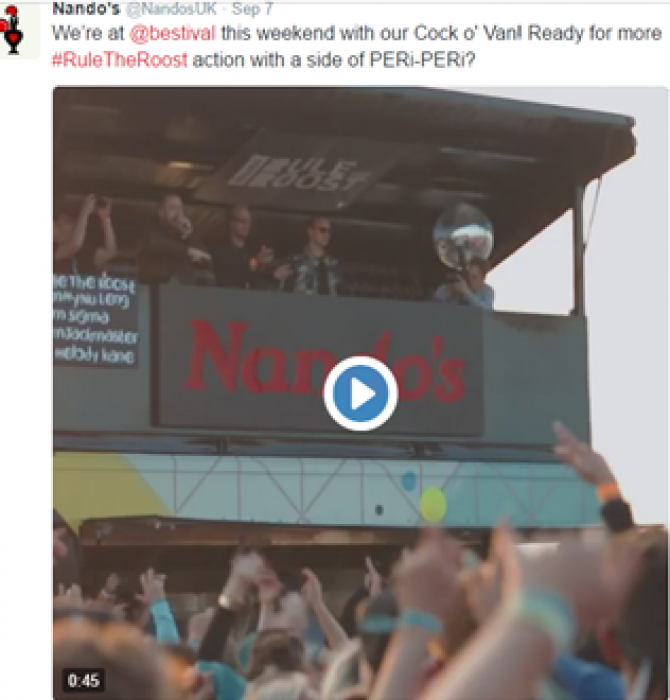 Notes: This is an example tweet from Nandos. They are keeping their followers up to date with where they are and where they can find them. This is helpful in driving engagement. Even though you may not be attending a particular event, you can still tweet about it using relevant hashtags that help you join in the conversation. And as always make sure the event your tweeting about relates to the industry you are in. Notes: If someone has mentioned something positive about your company, make sure to retweet it. This genuine feedback will help solidify the reputation of your brand. Notes: It is important to tweet about current events that concern your industry. 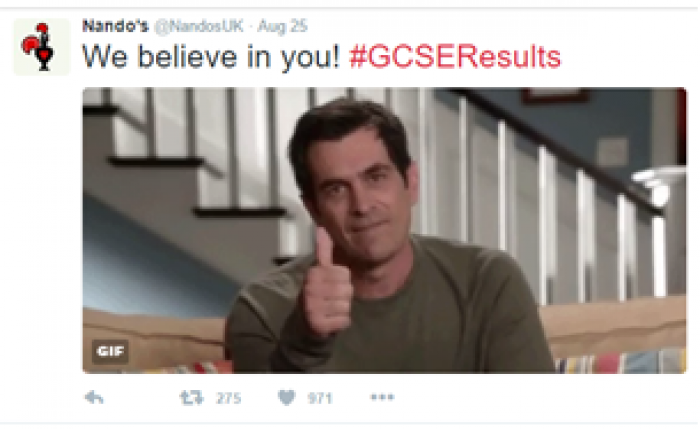 The above is an example of how Nandos understands its target market and is using this to get in on the trending topic of GCSE results. Notes: Mostly every day of the week has a popular hashtag assigned to it that always becomes a trending topic. You can join in this conversation by using it subtly to promote your brand as done in the above tweet. These are just a few examples of how twitter can benefit your business needs. Let’s move on to how you can engage on Facebook. By now you should have your business account already set up on Facebook. We are going to take you through the hits & misses on Facebook for any business. Post during 1-4pm. These times have the best click through and share rate (Hubspot 2016). Share news content that is related to your industry! It doesn’t always have to be about you. Don’t ignore questions from customers. Instead engage with them, even if it is negative feedback. To expand your Sales, you are going to eventually need new customers. Obviously the question arises, how do I find new customers? Easy. Attend events. Events are a chance for you to network with other businesses and people that are in need of your service, also you can find potential partnerships. Remember to bring business cards when attending these events, (bring more than usual because you don’t want to run out) also bring any promotional material for your business such as leaflets. Dress smart and get ready to grow your small biz! So there you have it. Week 2 on the Marketing challenge finished. Make sure to implement these strategies because they will only help your business grow. Heads up for Week 3 !